MATLAB EXPO 2017, one of India’s premier events for India’s research and engineering communities will be hosted in Bangalore, Pune and Hyderabad by MathWorks India. The EXPO will feature presentations and workshops by MathWorks technical professionals and customers. 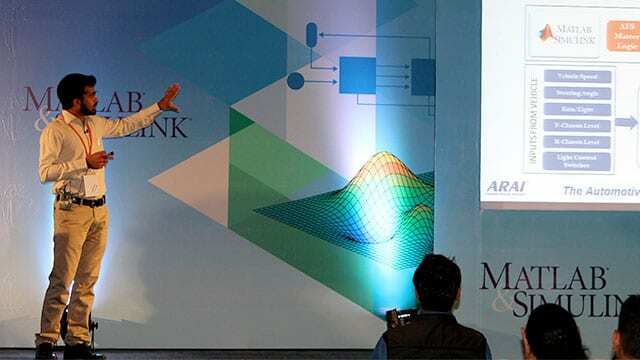 Over the last seven years, this conference has served as a stage for engineers, scientists and researchers to meet, converse and learn about cutting-edge product capabilities in MATLAB and Simulink. The annual conference will bring together engineers and scientists to learn new technological advancements and industry trends along with updates on MATLAB and Simulink. The featured speakers for this year’s conference will include Kishore Rao, Managing Director of MathWorks India, Prashant Rao, Technical manager of MathWorks India and Jim Tung, Fellow member of MathWorks amongst the others. Jim Tung, Fellow member of MathWorks will present the keynote on “How to Build an Autonomous Anything” where he will discuss about how using MATLAB and Simulink, engineers and scientists are combining massive amount of data, computing power and diverse set of algorithms to build autonomous technology in products and services today. MathWorks is the leading developer of mathematical computing software. MATLAB, the language of technical computing, is a programming environment for algorithm development, data analysis, visualization, and numeric computation. Simulink is a graphical environment for simulation and Model-Based Design for multi-domain dynamic and embedded systems. Engineers and scientists worldwide rely on these product families to accelerate the pace of discovery, innovation, and development in automotive, aerospace, electronics, financial services, biotech-pharmaceutical, and other industries. MATLAB and Simulink are also fundamental teaching and research tools in the world’s universities and learning institutions. Founded in 1984, MathWorks employs more than 3500 people in 15 countries, with headquarters in Natick, Massachusetts, USA.